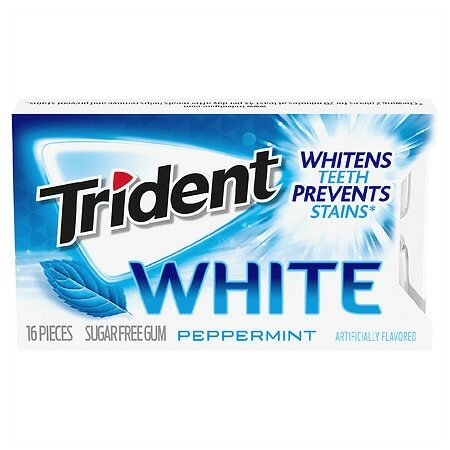 Trident White Sugar Free Gum Peppermint16.0 ea. 35% fewer calories than sugared gum. Calorie content for this serving size has been reduced from 8 to 5 calories.